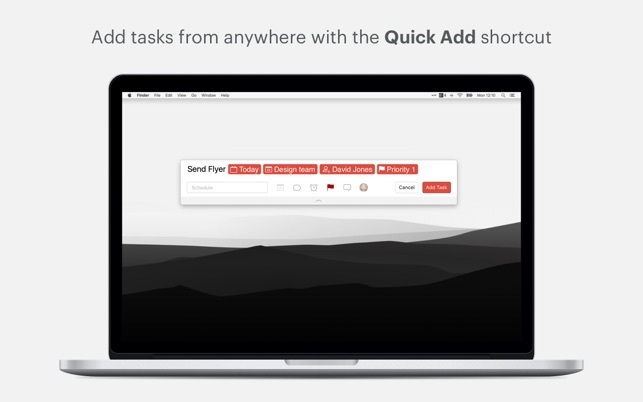 Capture and organize tasks the moment they pop into your head with natural language Quick Add. For example: “Read 30 pages tomorrow at 8PM #books” will set a task for tomorrow, at 8PM in your Books project. Remember deadlines and build lasting habits with recurring due dates like "every second Monday". Free up mental space by assigning tasks to people in your shared projects. Highlight your day’s most important activities with color-coded priority levels. See your daily and weekly progress with beautifully customized productivity graphs. Should you choose to upgrade (totally optional), your iTunes account will be charged as soon as you confirm the purchase. The Premium subscription is billed annually. The App Store will automatically renew your subscription after 1 year unless auto-renew is turned off at least 24 hours before the end of the current period. - [New]: Task priorities are now easier to distinguish thanks to a refreshed color scheme: P3 tasks are now blue. Learn more on our help center. And the usual small bug-squashing and app-improving to make sure your to-do list runs smoothly. For more info on what's new and how to use it, follow us on Twitter @Todoist or subscribe for updates at the Doist blog: blog.doist.com. So close but too far !!! I have been in search of a program to replace Wunderlist- This program has what I liked about Wunderlist in terms of sharing and multiple platforms. I had a great start to the program and will get to what I think the fail is in hope they will correct it quickly. They must have also gotten this complaint before because they have a useless work around they reference. When you create a project a task or however you decide to use the program, when you complete a task it disappears. You can bring it back, but it is cumbersome, Wunderlist would just collapse them, and you could see them at any time by un collapse them. It was suggested by todoist i look at an option for being able to see my tasks by placing an : in front of them but the instructions clearly say this makes them not completable. Why would you make a to do list not completable ? For those of you that do to see a problem with making completed items disappear, if you are collaborating on a project which this program has projects, people need to see what has been completed and read the notes if you have entered them. 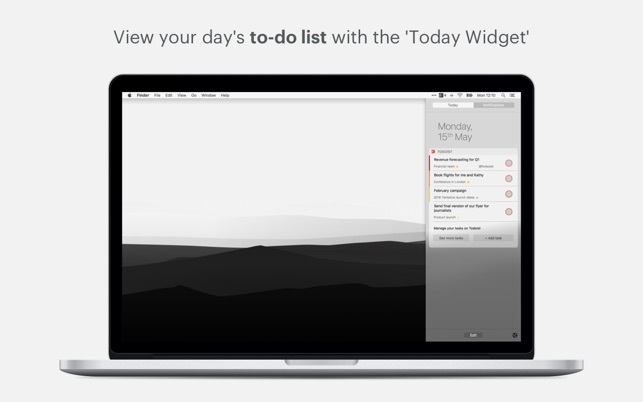 I switched to Todoist from Wunderlist because I needed a secondary to do list app. At first, Todoist seemed like a great match for my needs. Then came two major issues. First, even though all of the notes associated with my existing tasks were easily imported from Wunderlist, I couldn’t create any notes for new tasks without subscribing to the premium version of Todoist. By the time I realized that, though, I’d already invested a lot of time in cleaning up my old Wunderlist account and setting up the new Todoist account. 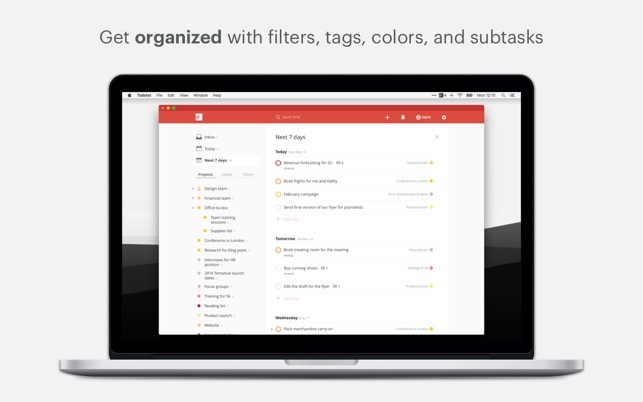 Second, the Todoist app shows countless options that aren’t available without a premium subscription. Those options aren’t marked, hidden, or greyed out for free users. That means you’re constantly trying to do things and getting the pop-up: “XYZ are premium features.” That’s both annoying and terrible UX design. It’s also deceptive to hook users with features that are actually blocked and to include countless icons/menu items throughout the app as though they were functional even though they’re blocked. I’ll pay a hefty one-time fee for really useful apps, but there’s no way I’m getting sucked into a subscription for this. Overall, the app looks pretty and it’s fine for one-line to do list items (if you aren’t annoyed by the constant prompts to pay for the premium version). If you’re looking for a free app that allows detailed task entries, though, I’d definitely look elsewhere. Great, but not the best. 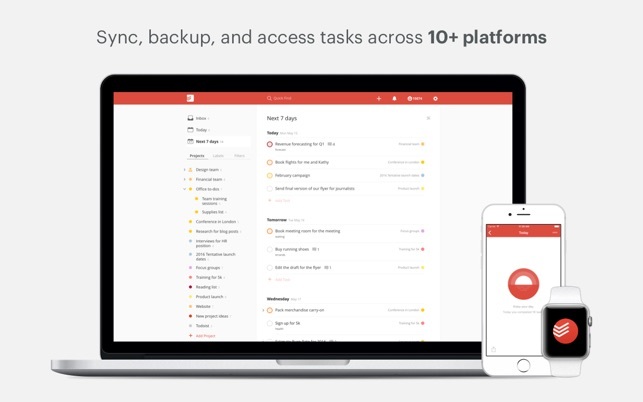 What won me over was the ability to add to-do’s from email straight to the ToDoist app. I’ve been using this everyday at work to remain on top of what needs to be done by order of priority and day it comes in and it has proved useful. I’ve looked at other applications similar to this, but this by far has better extensions that complement the application. I do agree with some of the other reviews how the application could streamline the UI a bit better, but I’m happy with it so far. If you are curious about getting this, take a look at the platforms and extentions that it supports. If used correctly, this application could certainly prove to be very useful, more so than the others. This app has gotten buggier over time. There are instances where certain parts of the menu won’t scroll down so I’ll have to resize my window to kick it out of it’s weird ‘stasis’ that it’s in, as well as some other instances of irritable glitches. Come on, please fix this. I’d hate to jump ship to another app.